Last updated: January 16, 2018 ADHD medication can be a total life-saver for people with ADHD. So, this article reveals some of the most popular medications for treating your condition. But, it’s also extremely important for you to stay healthy while taking ADHD drugs. And, that’s why this article also exposes 7 tips that you can use to stay ultra-healthy while using ADHD medication. The following list of ADHD medications isn’t exhaustive. But, they are the most common ADHD medications that are genuinely effective at helping you deal with ADHD symptoms. New ADHD medications pop up all the time. But, you can consider this the “ultimate” list of classic and modern ADHD medications that truly work. Vyvanse (lisdexamfetamine dimesylate) is a relatively smooth and safe ADHD medication that significantly helps people better manage ADHD symptoms. 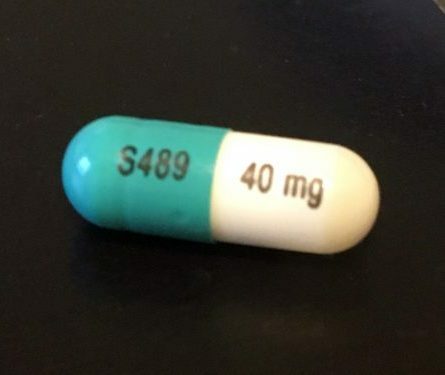 This is a popular choice of ADHD medication, because Vyvanse works over the course of an entire day, and doesn’t come with any hard “crashes” after the medication wears off. Vyvanse is the medication that I prefer for managing ADHD symptoms. 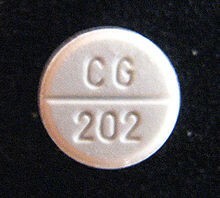 There aren’t any generic forms of Vyvanse available at the moment due to patents. However, there are some medications that work similar to Vyvanse. 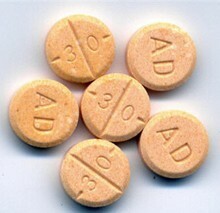 Adderall XR (amphetamine and dextroamphetamine mixed salts) is another popular medication for managing ADHD symptoms. This prescription ADHD drug is probably most similar to Vyvanse, because it helps to manage ADHD symptoms over the course of an entire day. Adderall XR is an extended release drug, and it’s a highly-effective one. Adderall is the most “notorious” medication used to treat ADHD symptoms, because it’s commonly referred to in mainstream media, pop culture and practically everywhere else. However, it’s unfortunate that Adderall has developed a negative reputation, when it’s actually an unbelievably effective ADHD drug when used responsibly. I truly believe that Adderall’s negative reputation stems from people who choose to abuse the medicine. What’s even worse is that people who choose to abuse Adderall typically don’t even have ADHD. So, if you use Adderall according to your pharmacist’s directions, I really don’t think you should have any problems with the medication. In fact, Adderall will likely even help you get a grip on your ADHD symptoms. Note: Some of the tricks listed further down in this article will greatly help you with staying healthy while using Adderall to better manage your ADHD. Concerta (methylphenidate) is an extended release central nervous stimulant used to treat ADHD symptoms. My old roommate in college used Concerta, and he seemed to like it a lot. He was a law school student who was studying to become a judge. So, I’d say Concerta is probably an effective ADHD medication that can work very well for severe cases of ADHD. 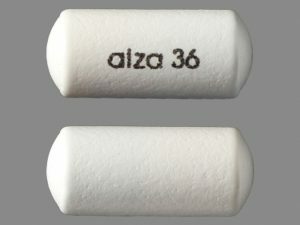 Plus, Concerta is one of the few ADHD medications that uses a unique delivery system called the Osmotic controlled-release oral delivery mechanism (also referred to as OROS). This simply means that it’s super easy to take Concerta, because the drug isn’t affected by your food intake, the pH balance of your stomach, and other “obstacles” that other ADHD medications are affected by. Ritalin (methylphenidate) is perhaps the most traditional, “old school” ADHD medication that most people are familiar with. This ADHD drug is a central nervous stimulant (CNS) that helps people with ADHD find greater focus for moderate lengths of time (Ritalin isn’t a long-lasting ADHD drug). However, there are also extended-release versions of Ritalin that are available. Overall, I don’t even think that Ritalin is prescribed all that much anymore, because there are simply better ADHD drugs available. But, it’s worth mentioning that Ritalin is one of the most common prescription ADHD medications, and I don’t think it will be going away anytime soon, either. 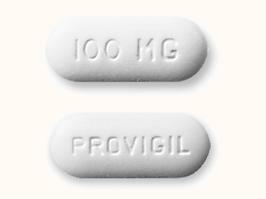 Provigil (modafinil) and Nuvigil (armodafinil) are two ADHD medications that can only be prescribed for ADHD “off label”. This is because Provigil and Nuvigil are commonly prescribed for narcolepsy and sleep apnea. However, people have been prescribed Provigil and Nuvigil for severe cases of ADHD, so it’s still fair to refer to these medications as ADHD drugs. I’ve personally used modafinil for ADHD at one point in time, and I had mixed results. I thought the drug was great, but with some pretty unfortunate downsides. Are there any other ADHD medications? As I mentioned in the beginning of this article, this list of ADHD medications isn’t anywhere near complete. But, these 6 ADHD medications are the most popular medications for ADHD in the U.S. and abroad. So, there’s a good chance that if you’re considering getting a prescription for ADHD medication, then you’ll use one of the ADHD drugs listed in this article. Okay, so now that you’re aware of the most popular drugs for ADHD, there’s a related topic that you need to get familiar with right now. Staying healthy while taking ADHD medication. Since ADHD medication can come with side effects (this is a typical issue that happens with all prescription medications) – you’ll want to do your absolute best to stay fit and strong while using prescription ADHD drugs. 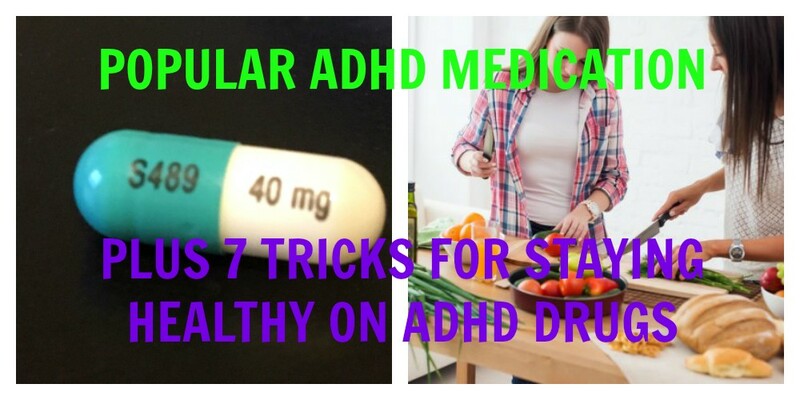 The following 7 tips for staying healthy while using ADHD drugs are the personal tricks that I use every single day to stay in the best mental and physical shape of my life while using ADHD medication. This trick should be obvious, right? But unfortunately, people who use ADHD medication don’t always fuel their brain and body with proper food. Meanwhile, eating high-quality food is the absolute most important step to follow if you want to live a healthier lifestyle while taking ADHD medication. Eating high-quality food is always worth it. But, notice how I’m not saying that you need to eat purely organic food. I actually don’t believe there’s significant evidence that proves eating organic food is exponentially healthier than eating non-organic stuff. I’m just saying that it’s important to prioritize eating high-quality food first and foremost. Then, once you’re used to eating high-quality food, you can choose to dish out the additional money on organic meats and produce if you choose. The biggest benefit of eating organic food is that you aren’t ingesting 31% more pesticides that you would be getting from “regular” processed foods. So, what qualifies as eating better food? Another important thing to note is that blending your veggies and fruits will help you so much with making sure that you get all of your nutrients in one dose. If you can afford to swing it, purchasing a Certified Refurbished Vitamix or Blendtec blender is going to be your best bet to potentially save your health in big ways. 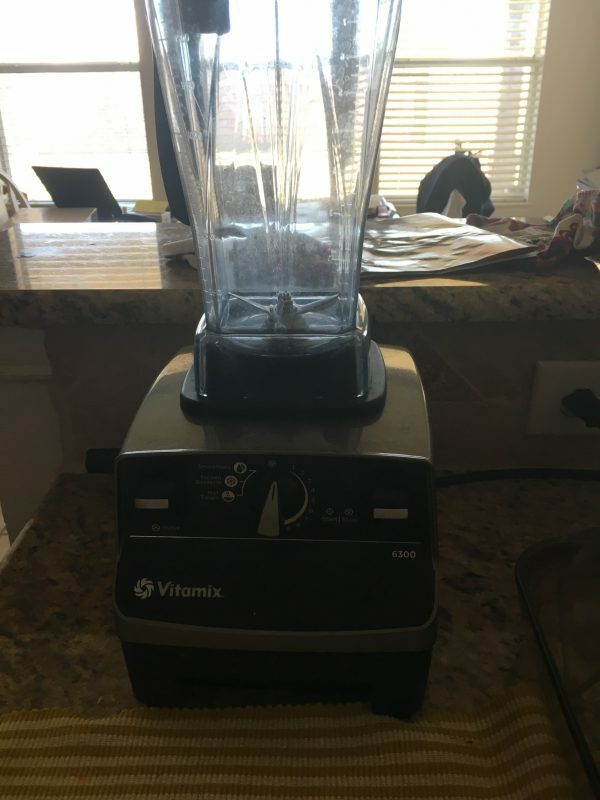 I’ve had a great experience with Vitamix so far, and their blenders have a reputation for being practically indestructible. With a Vitamix (comes with an impenetrable 5-year warranty) or a Blendtec blender (typically comes at a more budget-savvy price than a Vitamix) you can make eating healthy so much easier. Most of us with ADHD experience the symptoms of dry mouth pretty badly. And if you’re taking ADHD meds, it’s so important for you to be drinking tons of water. Two liters per day, minimum. Probably even more if you exercise. Yes, this might make you go pee-pee more throughout the day, but it’s going to be worth it for your health. 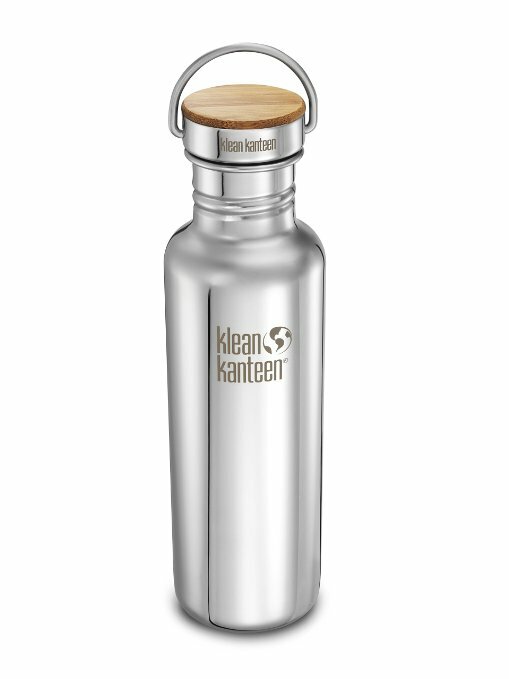 I recommend drinking water from a Klean Kanteen (Amazon), because this water bottle somehow manages to make the process of drinking water really easy and fun. It’s also a stainless steel, BPA-free water bottle. So, you won’t be taking in any harmful toxins like you would while drinking from a plastic water bottle. People who take ADHD medication should perform bodyweight exercises and light strength training exercises for a few reasons. First of all, long-distance running probably isn’t great for your health. Long-distance running has been associated with increased levels of cortisol (the stress hormone). So, I ultimately don’t like the negative effects associated with long distance running, even though it feels really amazing (the endorphin “high” you get from running is great). Short-distance sprints are often recommended as a nice alternative to long distance running, because short distance sprints don’t raise your cortisol levels. However, I personally don’t believe that short distance sprints are healthy for people using prescription ADHD medication either. This is because short distance sprints will likely raise your heart rate too quickly. It’s for this reason that I almost exclusively perform bodyweight squats, sit-ups, push-ups, and a few other exercises. I do something like 50 squats, 50 sit-ups and 50 push-ups each day. Then, if I feel like hitting the gym, I’ll typically do some light strength training exercises. For my workouts at the gym, I like to focus on compound weight exercises like bench, squat, pull-ups, some deadlifts etc. But, I make sure to only use relatively light weight at the gym, because I’m not trying to overexert myself. The point of going to the gym is just to keep your body lean, flexible and active. I’m not trying to become a bodybuilder. I just want to keep my body in good shape. I think this is an awesome strategy for most people with ADHD to stay healthy and fit. 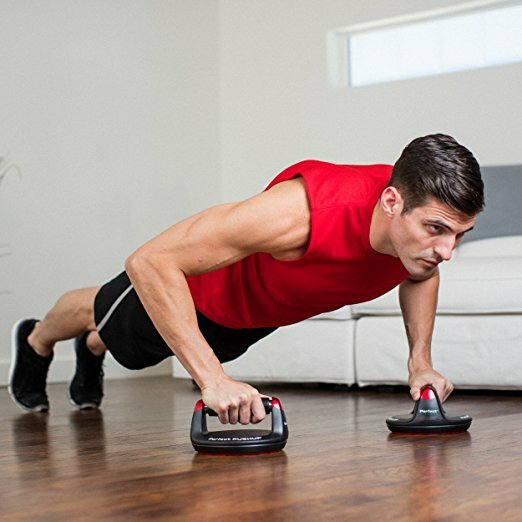 Plus, you can still get that amazing “runner’s high” from doing bodyweight exercises and light strength training. These types of exercises are amazing for the brain. You’ll get to release endorphins and de-stress, while not affecting your cortisol levels like long-distance running would. Note: There’s absolutely nothing wrong with running for 25 minutes every day if you still love cardio like I do. The point of this section is that you probably shouldn’t be running for 2 hours at a time while actively using ADHD medication. I have a special regimen that I go through every day. I only use some of the most important supplements, because I find that taking 20+ different pills per day is a little bit extreme. Some people will disagree with me on this, and that is fine. I’m only explaining what works for me. 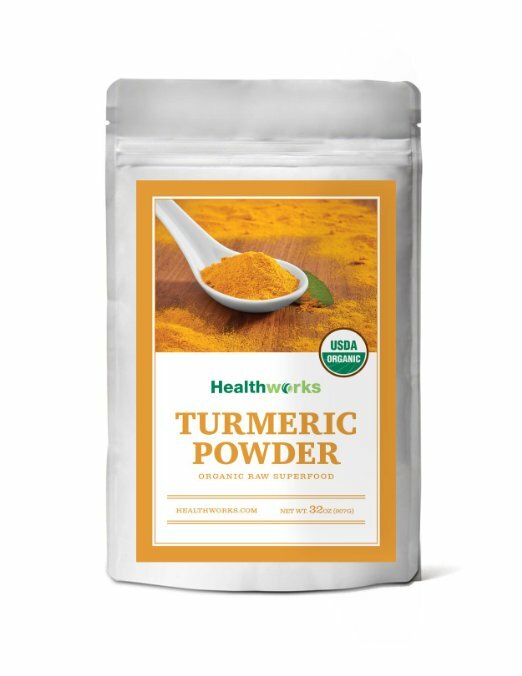 The people of India have used raw organic turmeric powder (Amazon) for centuries, and they experience some of the lowest rates of disease in the world. Curcumin, which is the magical ingredient found within turmeric, is extremely effective for fighting inflammation and many other things. 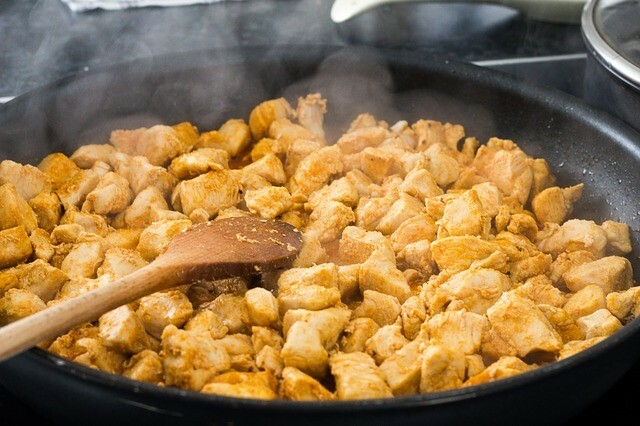 It’s important to note that you should be taking turmeric with quality black pepper at the same time. Bioperine, which is found in black pepper, helps your body absorb turmeric. I personally sprinkle turmeric on organic eggs each morning to make sure that I get some curcumin in my system daily. I stopped believing in taking multivitamins until I tried Rainbow Light Food-based Multivitamins (Men’s One, Amazon ) (Women’s One, Amazon ). This brand consistently proves that they only use high-quality ingredients in their supplements. They’ve won me over for life, as long as they continue to use high-quality ingredients in their multivitamins. Plus, lab tests consistently show that Rainbow Light uses whole-food ingredients in their vitamins, which is a major advantage over taking “regular” vitamins that use synthetic ingredients. If you’re like most people, then you don’t get enough vitamin D, and your ADHD is suffering because of it. Fortunately for you, vitamin D is the absolute best natural ADHD supplement for improving your cognitive ability and overall well-being in just a matter of weeks. I continue to take vitamin D every single day, and I love how it makes me feel and function with ADHD. Carlson Liquid Fish Oil (Amazon) tastes almost like candy. It’s fish oil in liquid form, so it’s so easy to drink down. Fish oil provides essential omega 3’s that your brain may be lacking. It’s super effective for overall brain protection, and for fighting against Alzheimer’s plus other forms of dementia. Drinking liquid fish oil ultimately helps you eat a Mediterranean-style diet, even if you don’t live by the ocean. Note: I’ve tried various other fish oils, and nothing comes close to this one. It’s well worth the price tag. I’ve tried Barlean’s Fish Oil, which normally has an excellent brand reputation as well. But, one of the main ingredients in the Barlean’s Fish Oil that I tried was sunflower oil, so I felt like they were ripping me off. Go with Carlson here. I recommend that you snag raw organic honey from your local health store. It will be cheaper this way, and you might even be able to find some honey that’s local to your area (please support your local bee farmers as they’re literally saving our planet). Constantly seeing this particular tip is really annoying. I know. Even I get annoyed when people tell me that I should try to sleep better. Because, sleeping is really difficult for me, and so many other people with ADHD. I’ve got 20 different things racing through my mind at any given moment, and it’s hard to shut my mind down when I go to bed. On most nights, I constantly have to remind myself that I’m in full control of my mind, otherwise my mind will spiral out of control with all kinds of doubts, worries and stress etc. Everyone has problems that they’re dealing with. 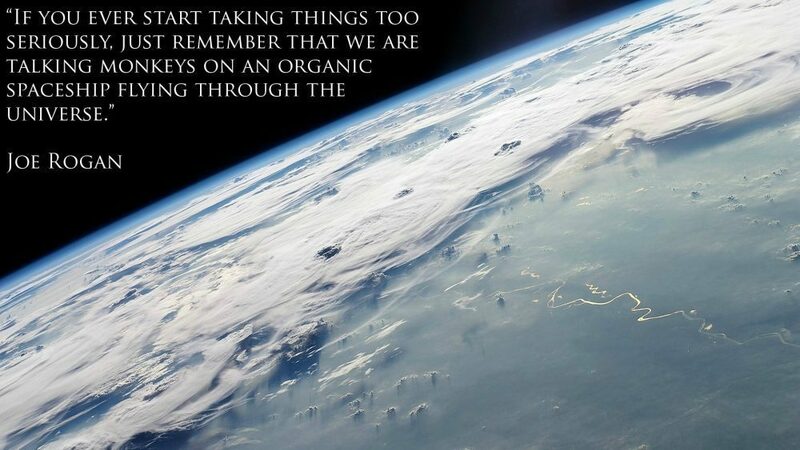 But, it’s so important to remember that worrying about problems isn’t going to help you solve them. You just have to take care of your stuff during the day to the best of your ability. And then, at night, remind yourself that you’re only alive for a relatively short period of time anyway. There’s no point in stressing too much over the petty things. While this quote by Joe Rogan is hilarious, I actually take it to heart when I can’t sleep. We’re all on a floating rock. No one knows why exactly we’re all here. So, it’s best to just not worry so much about the small details. I know that you might have rent to pay, take care of student loans bills, and work a potentially lame job. But, it’s ultimately still an amazing time to be alive. And, stressing out at night isn’t going to do anything positive for you anyway. 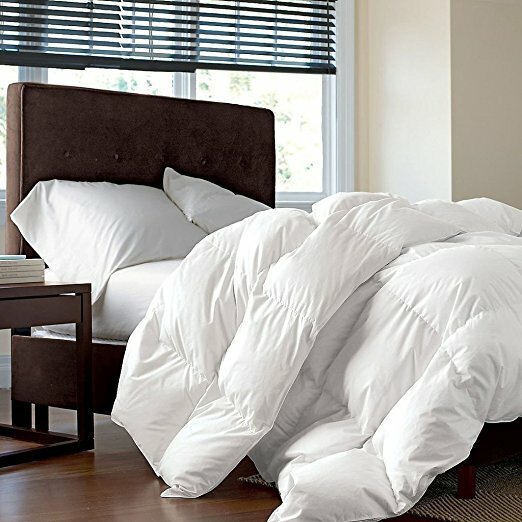 On a similar note, I think that purchasing the most comfortable king or queen sized mattress you can find, as well as a high-quality goose down comforter, can help a lot with sleeping. Blacking out your room, and buying an O-Ion Air Purifier (Amazon) that emits a bit of white noise can also help a ton. For more sleep tricks, you can check out this article that I wrote about how to get better sleep with ADHD. Meditation is unbelievably important. I make it a habit to meditate twice a day. If you’ve dismissed the power of meditation, then you’re seriously missing out on something powerful. Meditating helps you to quiet your “inner monkey,” as Russel Simmons calls it in his book Super Rich (Amazon) (he breaks down how to meditate extremely well in this book, and I highly recommend reading it). If you haven’t meditated before, it will take you a little while to get the hang of it. But, all you have to do is basically find a quiet space, come up with a mantra that you mentally repeat to yourself to get you in the zone, and focus on that specific thing in order to quiet your mind. It’s important to note that the most useful meditation strategy doesn’t involve “focusing on nothing.” This will drive you insane. I prefer Transcendental Meditation (the simplest form of meditation), which I write about in my article on The 3 Secrets to Success with ADHD. Socializing with other people and enjoying genuinely good relationships isn’t talked about nearly enough in the world of ADHD. But, did you know that socializing with others is actually a human need that helps you fight disease and stay mentally sharp? Yes, socializing with other people is just that important for your overall well-being. Especially while using prescription medication for your ADHD. 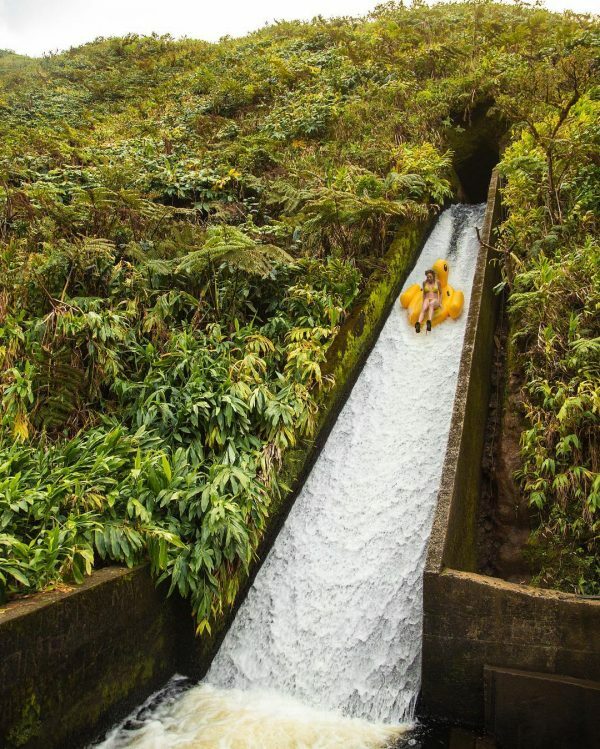 Overall, if you’re willing to choose the prescription ADHD medication that works best for your mind and body – and you’re willing to stay healthy while using your ADHD medication responsibly, then you can live an unbelievably happy and exciting lifestyle. We all just want to live a happy, healthy and interesting life in the end, right? Well, that’s exactly what I’ve tried to help you achieve with today’s article. If you can commit to using the best ADHD medication for your condition, while also making a commitment to staying healthy in the process – then you can go extremely far in life. Regardless of your age, location, level of income or any other factors. There’s always a way for you to live the healthy lifestyle that you deserve while overcoming your ADHD symptoms.